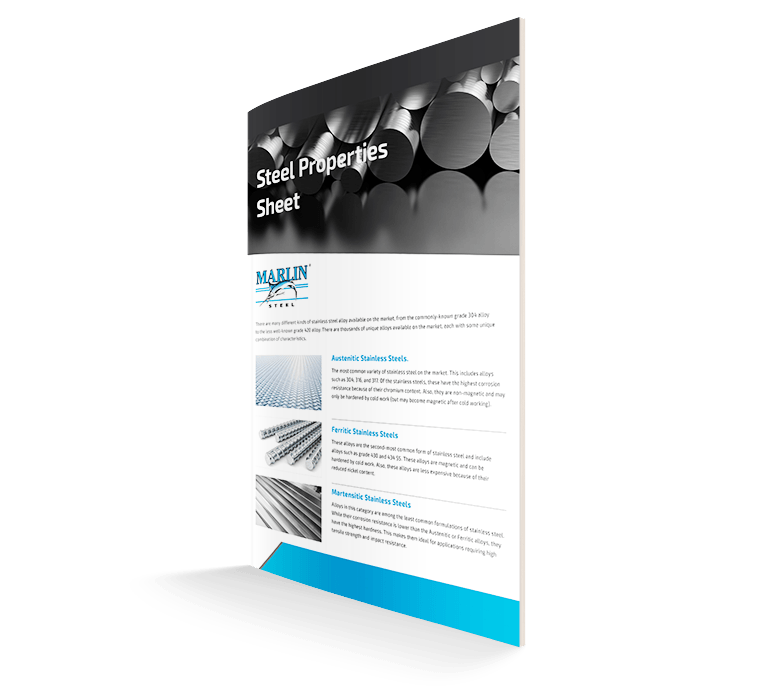 Expanded Metal vs. Wire Mesh vs. Sheet Metal: Which is Right for Your Basket? Choosing the right custom basket for any given application can be tough. There are countless ways to build a basket for any given task, and not every option is right for every process. 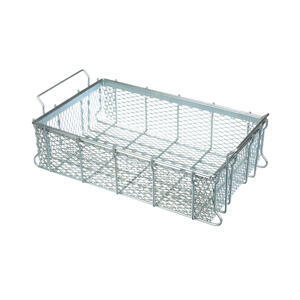 One of the key decisions that Marlin’s design team has to make for the custom parts washing baskets that they make is the choice between using steel wire mesh, expanded metal, and sheet metal for the bulk of each basket. All of these metal form types can excel at different applications. 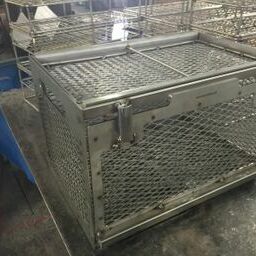 For example, unlike solid sheet metal, wire mesh and expanded metal offer a lot of open space to allow liquids to drain from the basket and air to flow into the basket—speeding up drying processes and keeping chemicals from sitting in the basket and causing staining or excessive corrosion, which is ideal for parts washing applications. Sheet metal, on the other hand, is often best for making sure that no parts or material can fall out of the basket because there are no openings for material to fall through. Sheet metal also tends to be stronger than wire or expanded metal baskets of the same thickness. But, which of these materials is the best for your custom steel basket? When it comes to cost, expanded metal tends to be the least costly, wire mesh usually falls in the middle, and sheet metal is the most expensive. The reason sheet metal is the most expensive is because it requires the most raw material. While wire mesh uses far less material, it requires the most welding work and secondary operations to ensure a strong, high-quality basket. Expanded metal falls into the middle because it uses less material than sheet metal, and requires less secondary work (welding) than steel wire does to ensure a strong basket. Sheet metal is, naturally, the heaviest of the three per square foot of the final basket design because it has no holes. Expanded metal is slightly lighter because it has holes. Wire mesh is the lightest because it provides the most open space of the three. This is a difficult piece of info to generalize about since the methods used to shape a metal form and finish it can have a significant impact on the occurrence of sharps and burrs in a basket. Generally speaking, steel wire mesh and sheet metal will not have sharp edges except for at the location of a cut or weld in the metal, which may leave a sharp or burr. Expanded metal, on the other hand, may have leftover sharp edges caused by the expanding process where the roller simultaneously flattens and cuts the steel plate being turned into expanded metal. However, these sharp edges can be easily remediated by using a sanding process, electropolishing, or even applying a coating to the basket to protect held parts from sharp edges. As mentioned above, wire mesh has the best air flow and drainage properties of the three. Expanded metal is a close second. Sheet metal, with its complete lack of open space, has the worst drainage properties—which may actually be desirable for certain tasks where it’s important to keep materials in the basket. Any of these material types can be used for “rough” use applications, but thinner steel wires do tend to lose out compared to expanded and sheet metal forms. For example, wire mesh isn’t generally recommended for shot peening, which is a process that involves blasting parts with particles of material to alter their physical properties. Smaller, thinner pieces of wire just aren’t durable enough on their own to survive prolonged exposure to such a process to the same degree as the larger, more solid sheet metal and expanded metal materials. In most other respects—temperature tolerance, suitability for use on a conveyor, ability to be coated in other materials, etc.—wire mesh, expanded metal, and sheet metal are all mostly similar, with actual material choice (stainless steel, plain steel, etc.) and overall design making larger impacts on performance. So, which one is the best for your custom manufacturing basket application? Contact the experts at Marlin Steel to discuss your manufacturing application and find out!